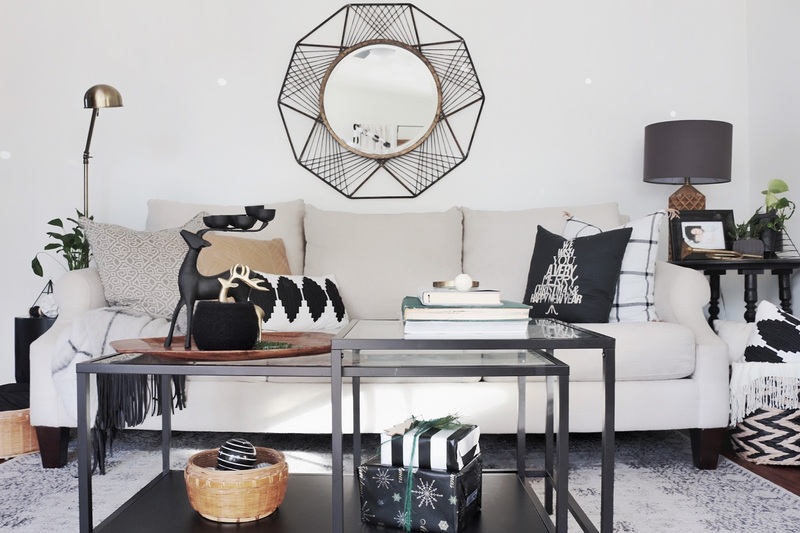 It’s that time of year again, Holiday Home Tour time!! 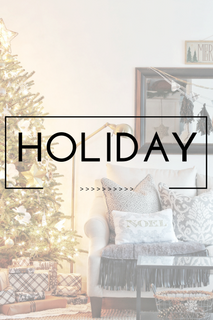 This year, I’ve joined some talented friends to bring you lots of holiday inspo through #ourhomesfortheholidays blog hop! We are on day 3 of the tour, (full line up below) if you're visiting from Happy Home on Haddon Welcome! 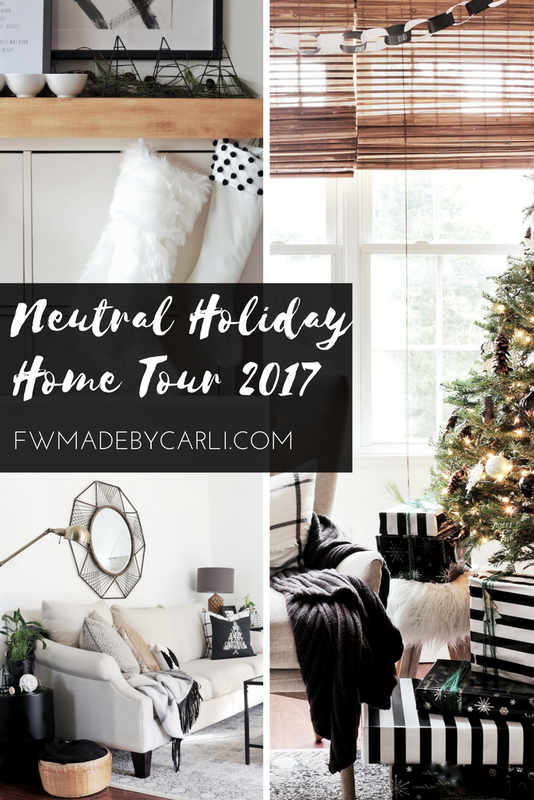 I hope you enjoy my simple and neutral holiday home. I beg you to bear with me, as my camera lens is on the fritz, I'm really hoping Santa answers my wish with some new camera gear this Christmas (fingers crossed!) 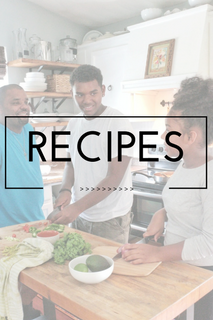 (This post contains affiliate links, which means, if you purchase something from one of the links I will receive a small commission, read more in my disclosures). 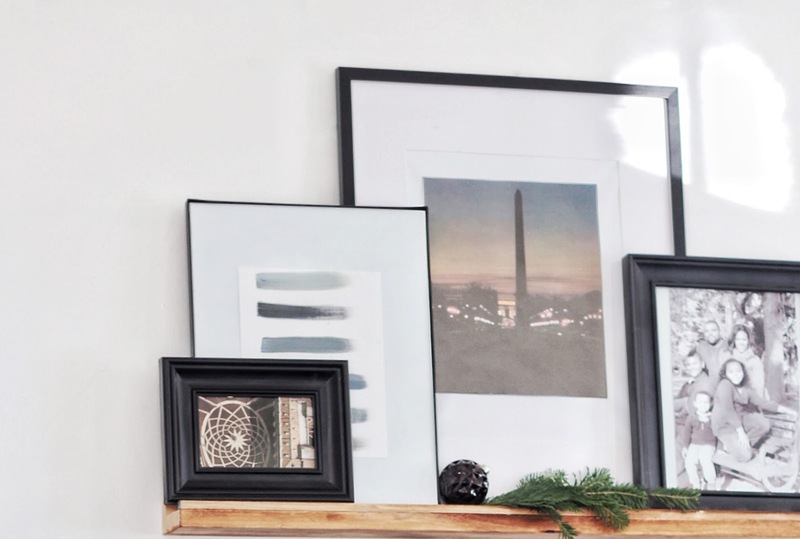 This year I vowed to not spend much on new holiday decor- since we can only enjoy it for a month! 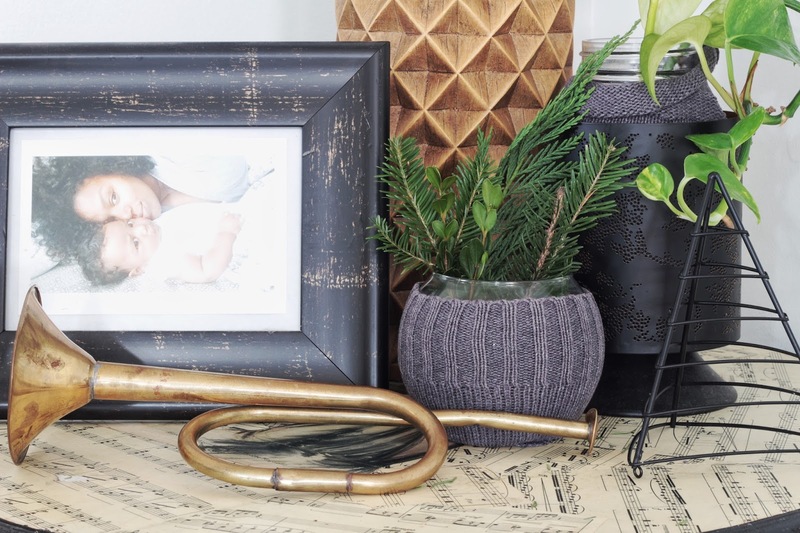 Instead I gathered lots of fresh greenery and DIYed some simple crafts to round out my holiday home. 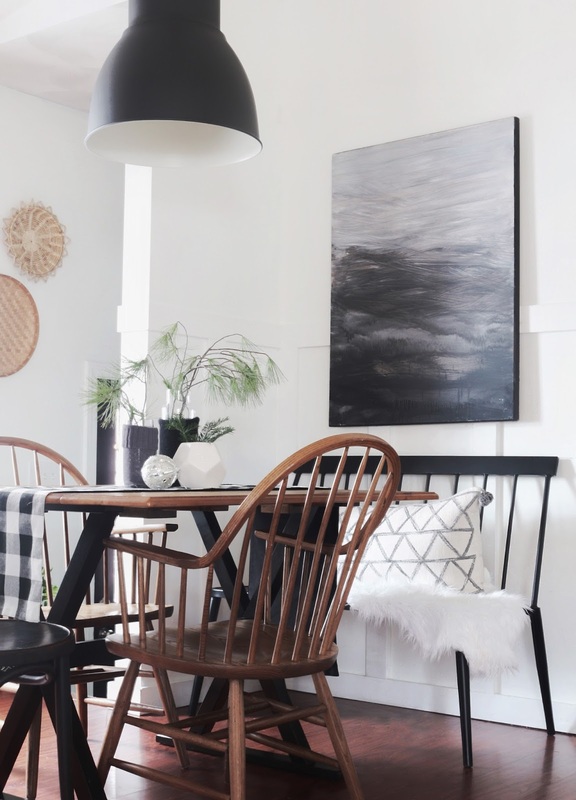 I have been way too into white, black and wood decor which will be pretty evident in this tour; something about the combination makes my heart skip a beat. 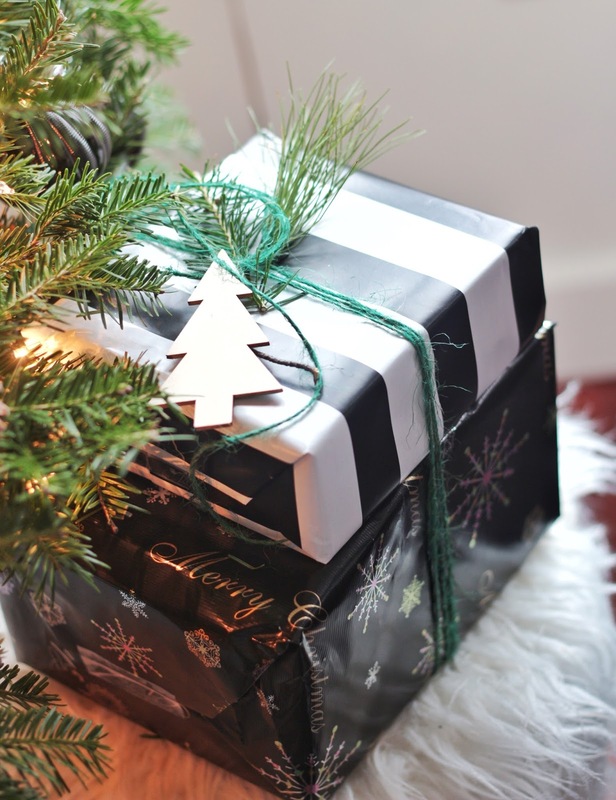 I was thrilled to find the striped gift wrap at Walmart, and the buffalo check and black paper at T.J. Maxx. I continued the black and white theme on the Christmas tree. Pine cones, which I gathered on a nature walk, completed the wood element in the theme. 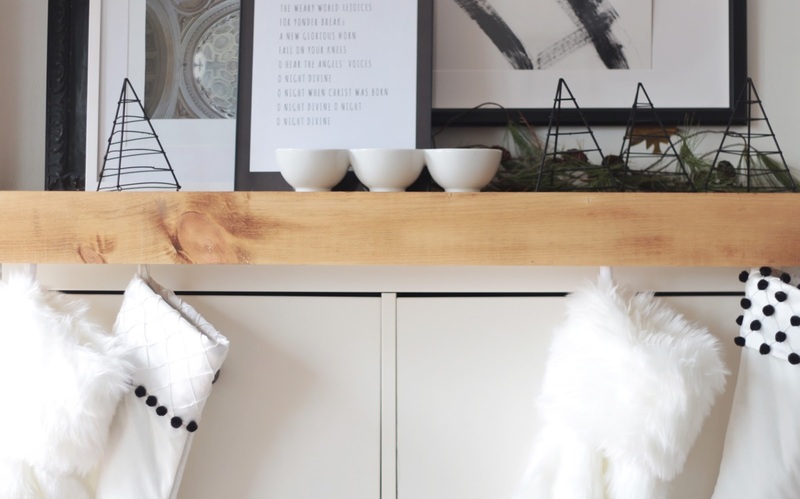 Previously, my DIY Abstract wall art hung behind the tv, but I swapped it out for a simple DIY ledge shelf, much like the ones I built for my teenage son's recent bedroom reveal. 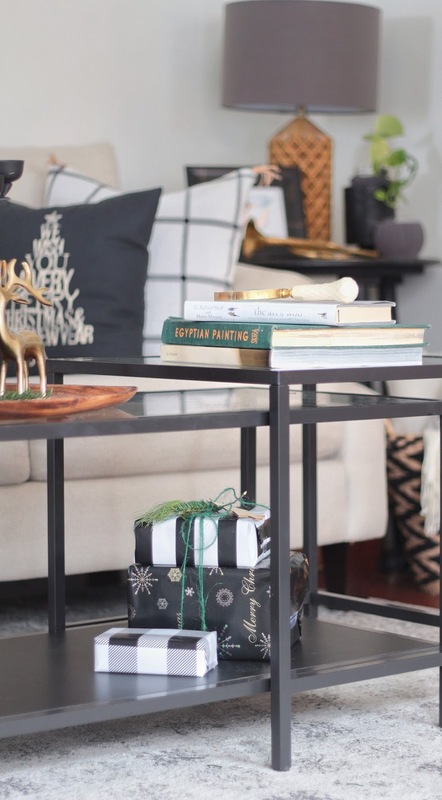 On the coffee table, sprigs and branches of greenery were tucked here and there. 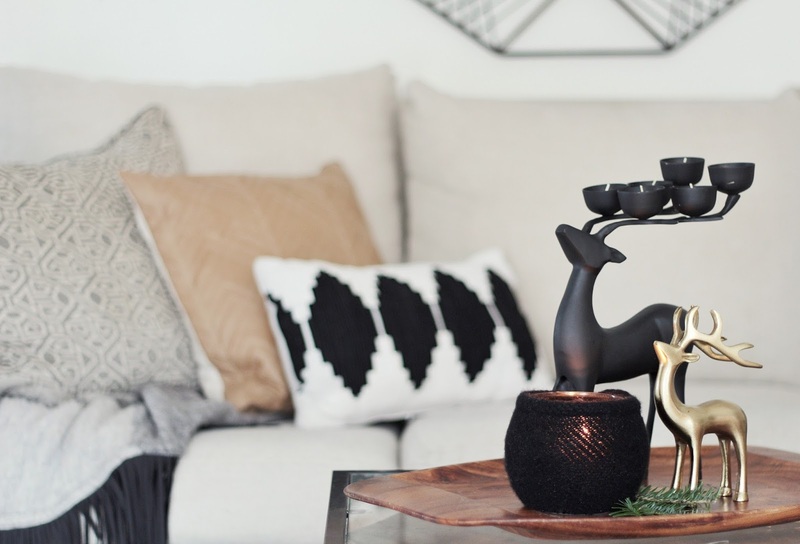 I reused some old sweater sleeves to cover simple dollar store vases, to create a cozy feel, and added these modern and elegant reindeer figurines from T.J. Maxx. The black reindeer was originally chrome, so I whipped out my favorite 97 cent black flat spray paint and gave it about three coats of paint to get the smooth matte finish. 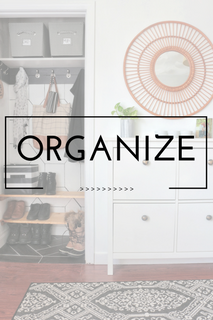 You may recognize a few items from other areas of the house. I can't stress enough---the benefit of shopping the house! 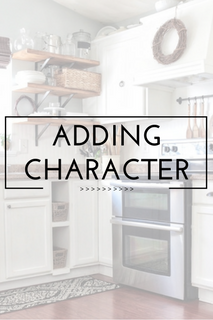 Just the simplest changes can equal instant gratification, and because I keep a similar theme through ought the house, its easy to mix and match items. 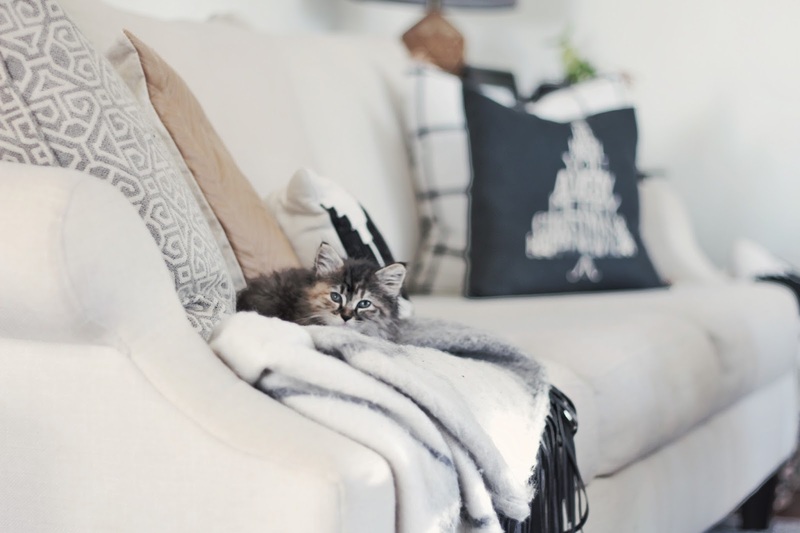 The sofa was adorned with a cozy fringed throw, and some winters throw pillows. 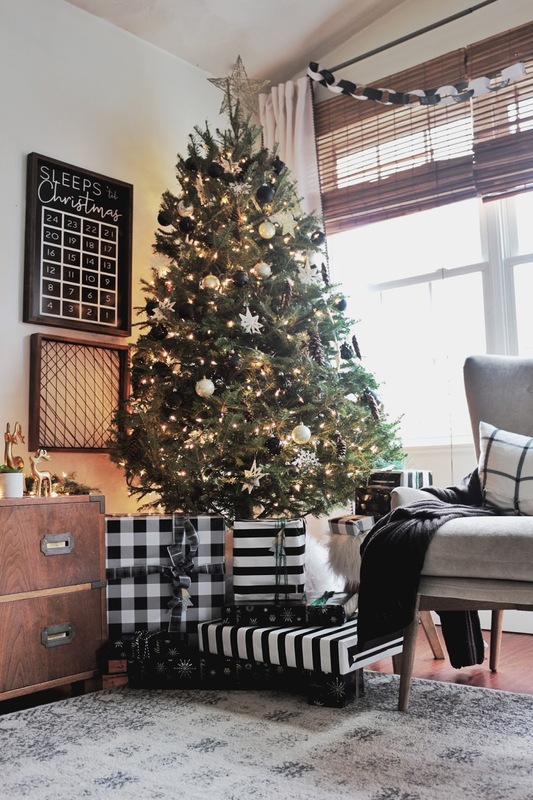 The white plaid pillows were made from $6 Walmart blanket scarf- I just can’t get enough of that plaid!! I added some DIY suede tassels to the corners of the pillows for some interest. 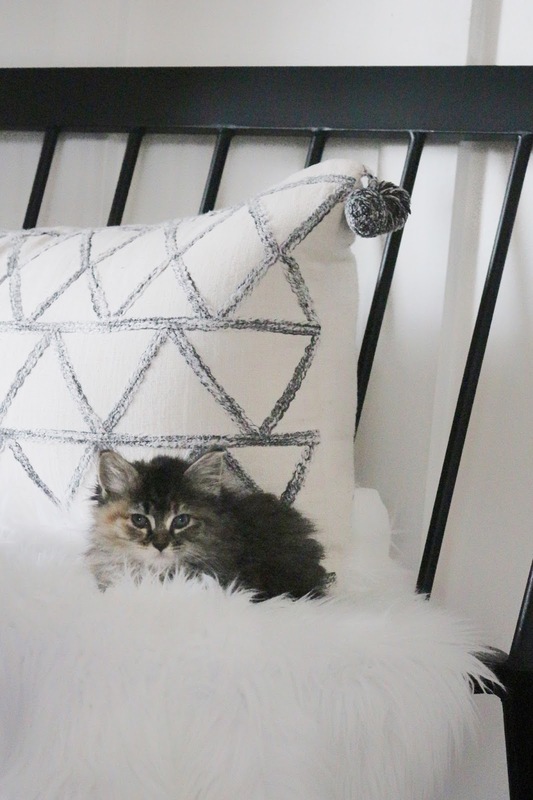 I had this idea, that I could take this cute little basket and fill it with a soft pillow and cover it with black fabric to create a cat bed to blend with my decor-but the kitten isn't having it! She prefers the comfy sofa! 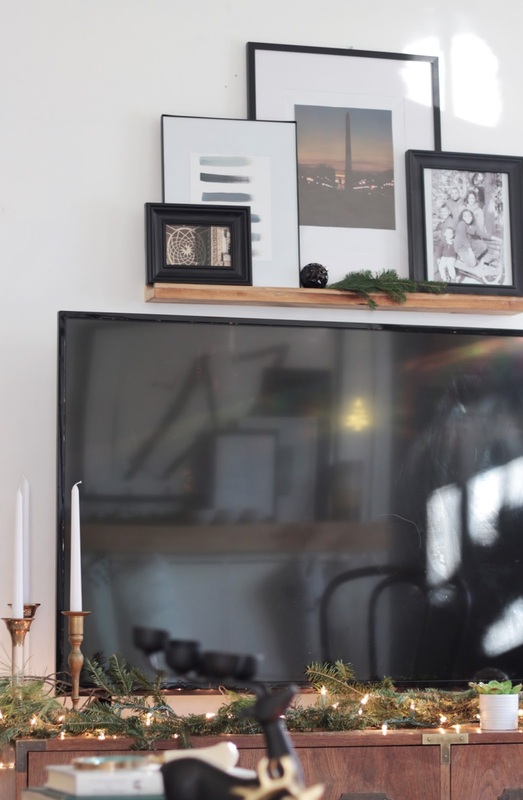 Because we are without a fireplace, our Ikea Hemnes shoe cabinet was fitted with a diy “mantel” using a similar technique to my fireplace makeover for my best friend, years ago. I updated some simple velvety stockings with inexpensive Pom-poms and my glue gun, for a more modern look. 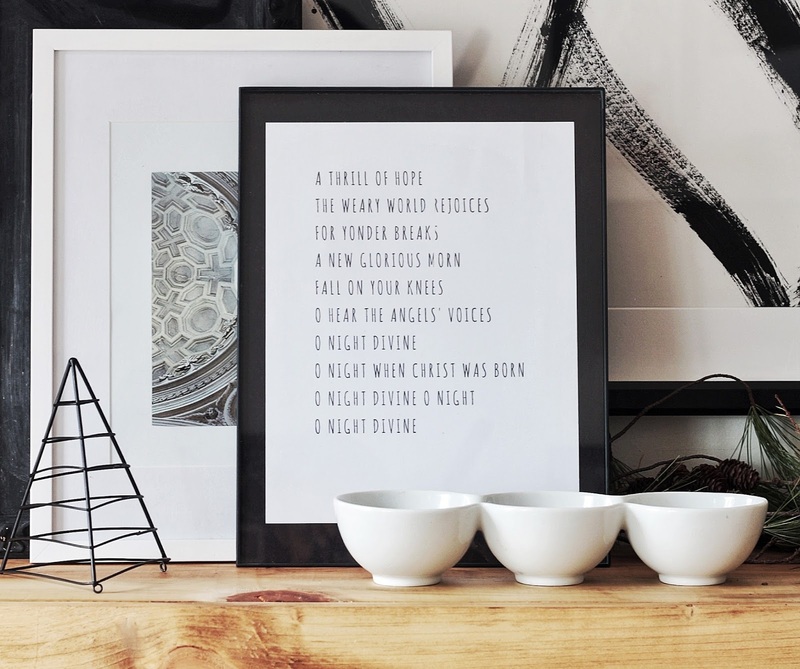 To create this vignette, I layered some wall art and the framed lyrics to my favorite Christmas song “Oh holy night,” to be displayed on the mantel. Simple and FREE--sensing a theme here? lol. 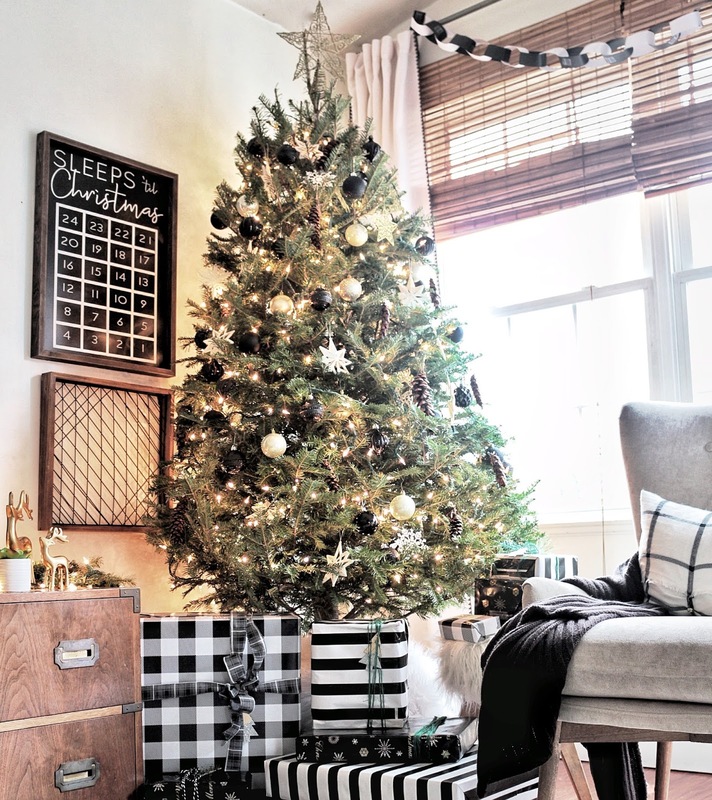 Our entry got a little blinged out with these gold foil Christmas trees, graciously provided by Paper Riot Co. they are sold at select Target stores and online. 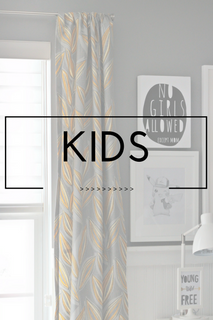 These wall decals are such a great way to make a big impact with minimal work-all you need is a little creativity! 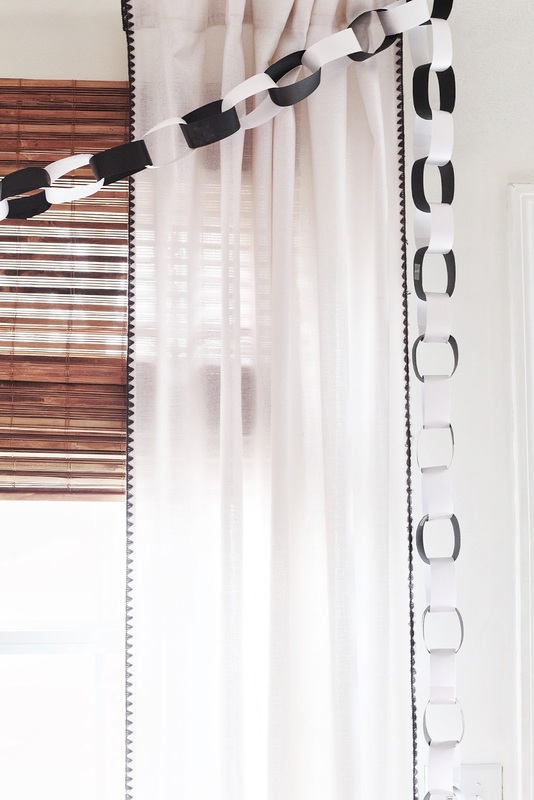 In the vein of keeping things simple and inexpensive- I added a paper chain “garland” over the windows for a modern and festive feel. I was able to enlist the help of my kids for this. I simply adore these little wooden gift tags found in the dollar spot at Target. Moving into the dining area . . . 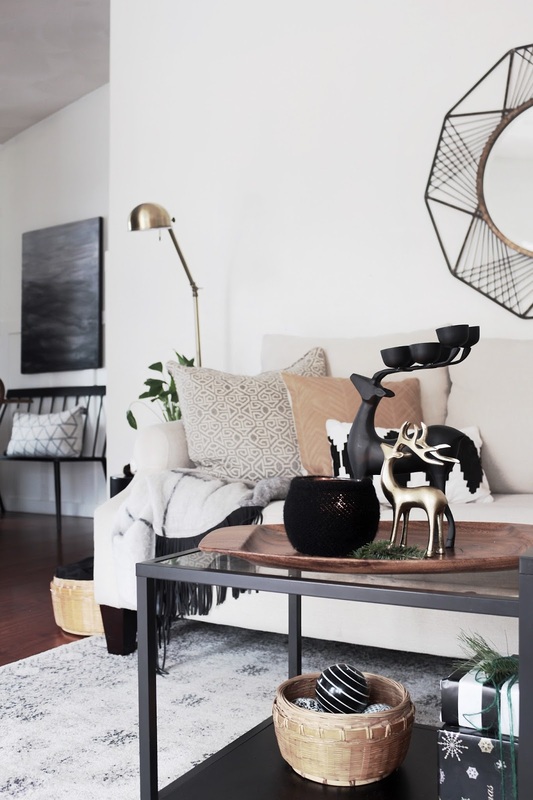 I kept things super simple, with a buffalo check runner, some pine branches in sweater wrapped vases and a cozy faux fur throw for the bench seating. Clearly, our new fur baby Gracie, finds herself quite comfortable in this spot. 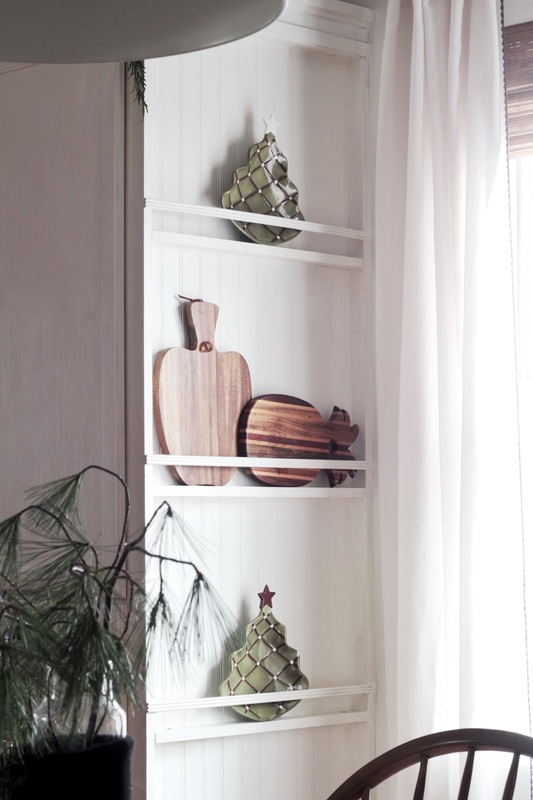 Years ago, I found these adorable Pottery Barn Christmas tree plates at a thrift store for about $1 a piece, what better plates to be displayed on my diy plate rack wall? 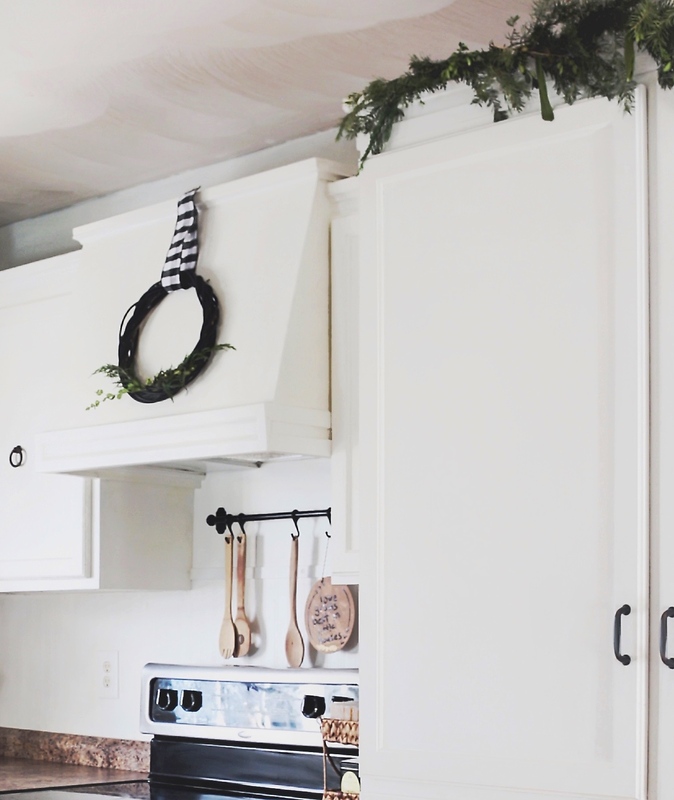 A simple willow wreath, also spray painted black, was placed on the range hood. I tucked a few sprigs of cedar and boxwood and hung it with buffalo check ribbon to make it more festive. 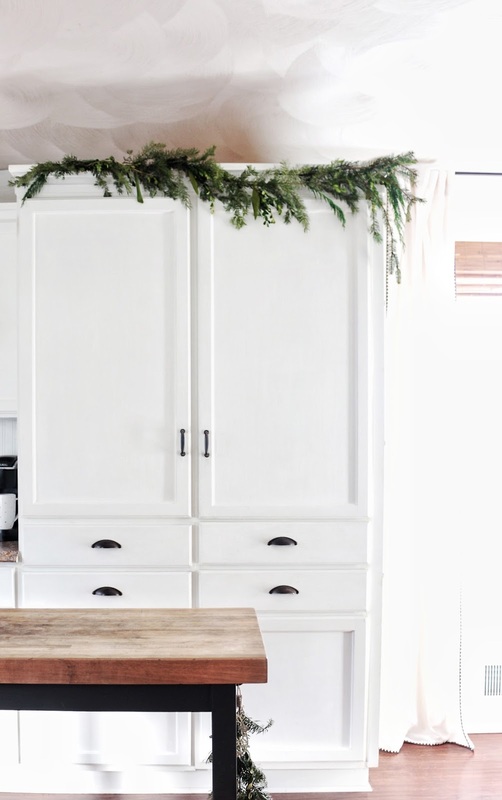 I put together an easy garland for above our pantry cabinets with clippings from my backyard, bound together with floral wire. Using tiny command hooks in a staggered pattern, I was able to drape the garland on the front of the cabinets. This view gives me all the feels! 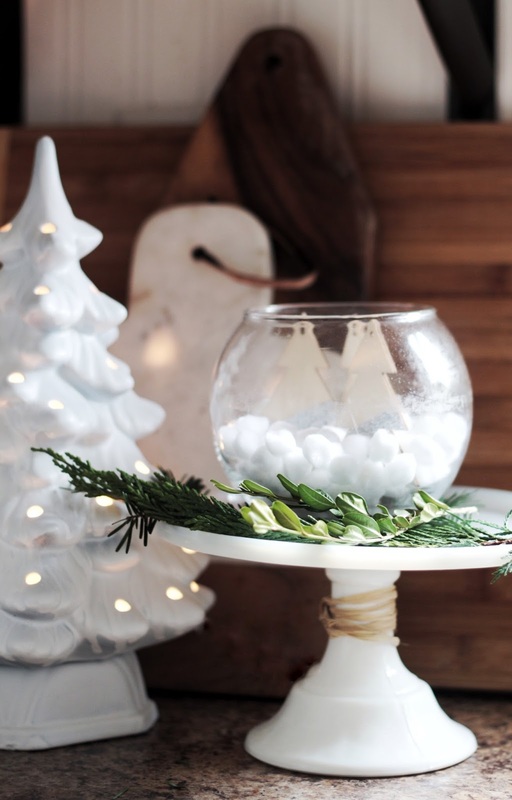 This cute little Dollar Tree vase, placed on top of a mini cake stand, filled with white Pom-poms and the $1 spot Christmas trees tags, really rounds off this vignette. 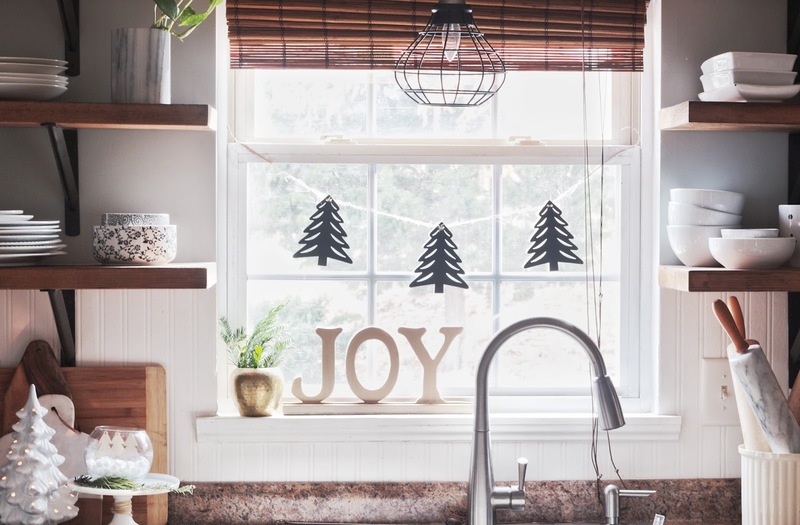 Hanging a festive banner in my kitchen window has kind of been my way to celebrate festivities of all the seasons lately-it’s cheerful and basically everyone’s first view from our bedrooms in the mornings-so it’s a great way to bring on the holiday cheer. Well Friends this concludes my tour! 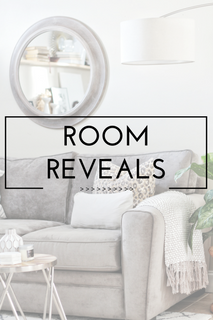 I hope to share a little of the basement family room and some bedroom spaces next week so be sure to check back. 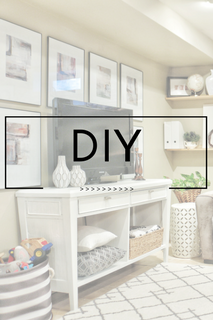 Also if you are interested in a tutorial for any of the little DIY projects mentioned in this post, let me know and I'd be glad to share. 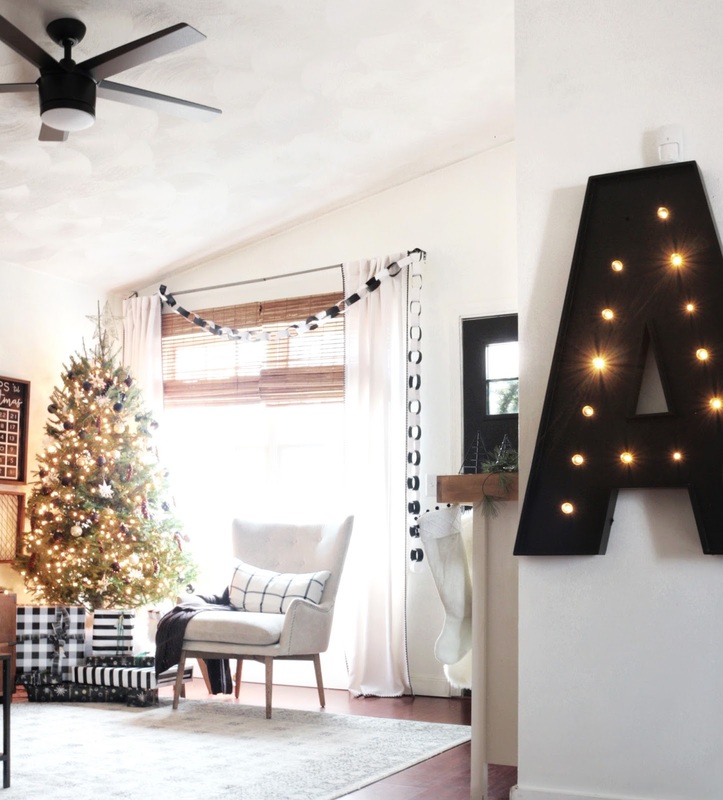 Be sure to visit House of V Decor next on the list for more holiday decor inspiration! Love it! Also love the new little addition to the family. Happy holidays! Your home is beautiful. 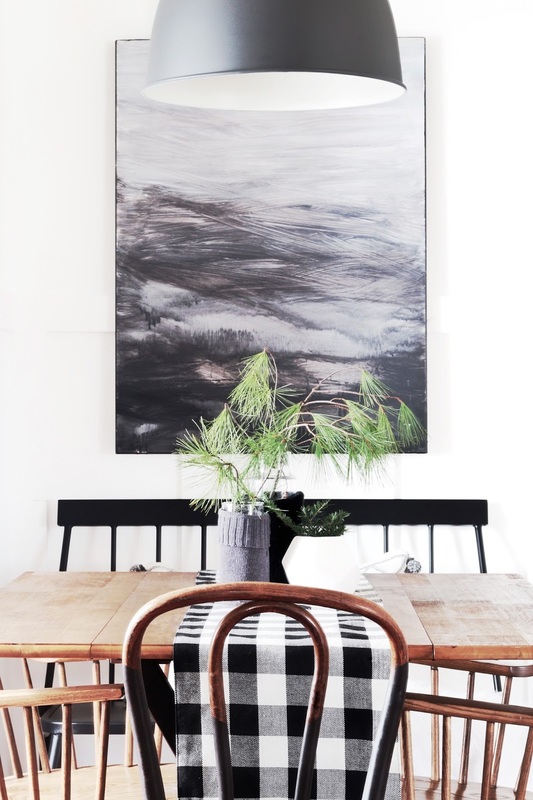 I love the elegance of the Black and White Décor. 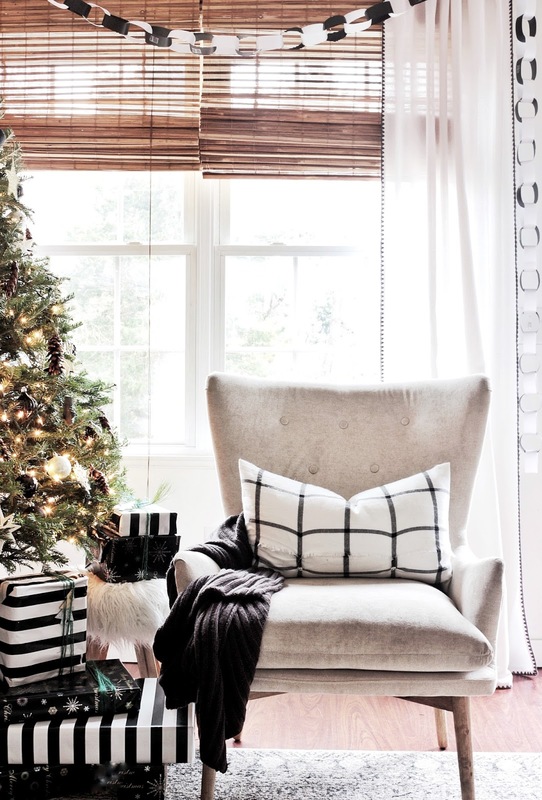 Have an amazing Holiday Season..
Carli I just luv your formal black and white style. Your post looks so elegant! You’re so sweet thank you! 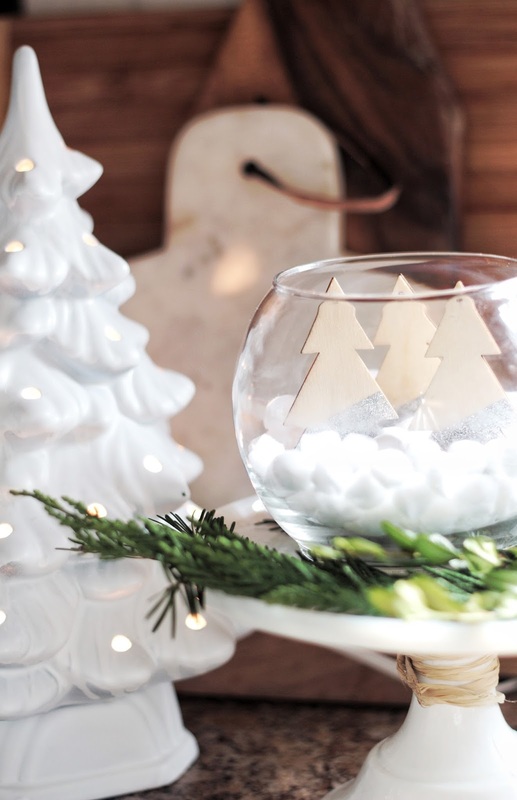 It was a little challenging trying to incorporate Christmas decor into my normal decor, but I’m loving the result! Thanks so much Kate! I’m addicted to black! When I bought the black Christmas ornaments my husband asked if we were having a funeral Christmas tree 🎄😂. He later converted to the dark side once everything was complete! You were born for this, Carli. Black is the new white. I love it! Everything is beautiful, and wonderfully and beautifully put together. Welcome Miss Gracie...a cat's life..purrrfect. Merry Christmas! 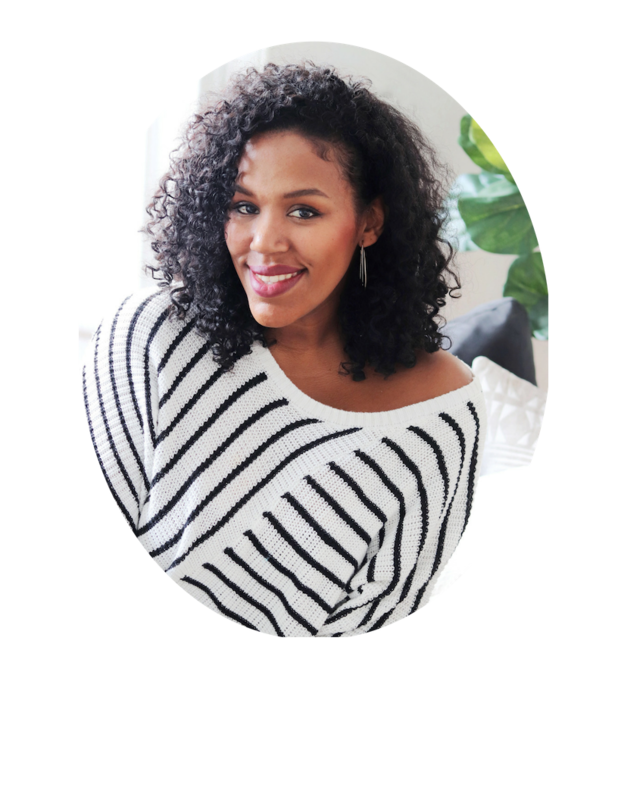 #BornByDesign xo. Awwww, that means a lot! 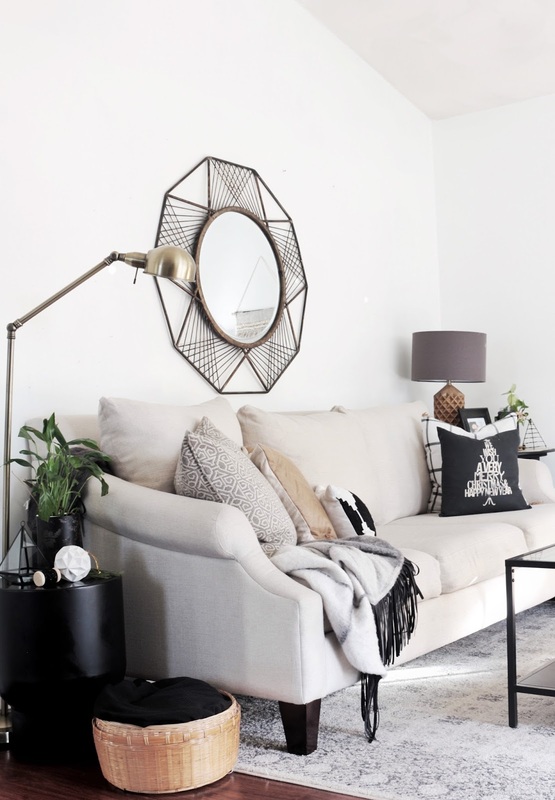 I get so much joy in creating a beautiful home! Thanks for your sweet comment! 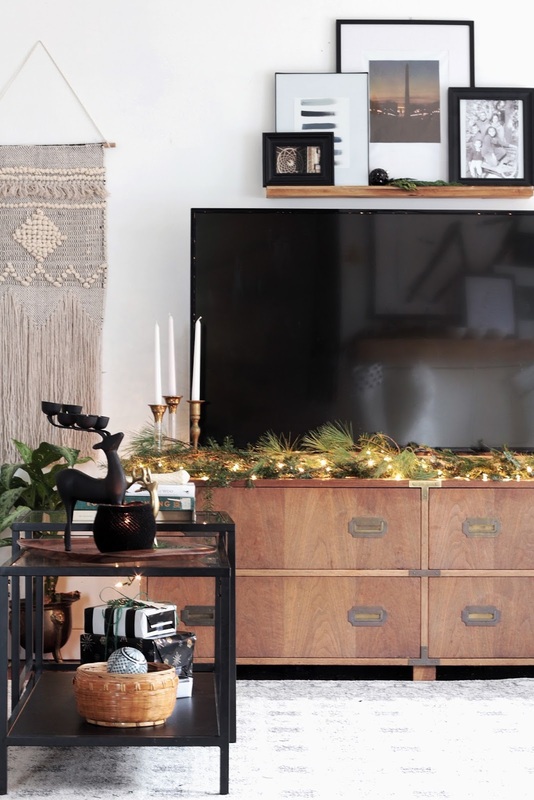 Love your holiday home tour, Carli! 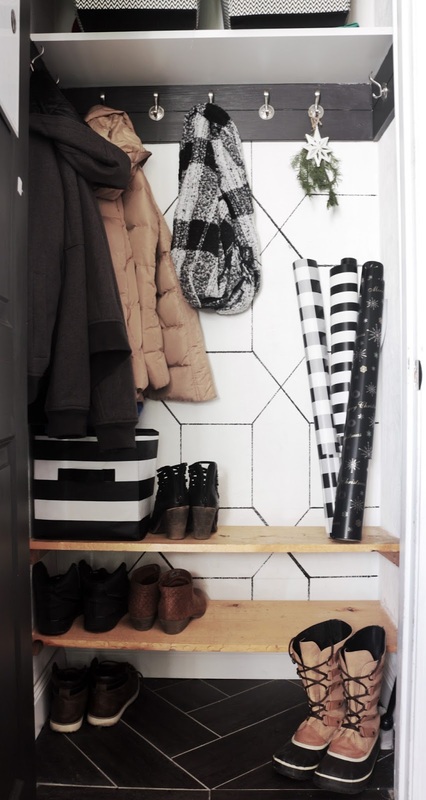 The black and white theme is so chic. And your little model (kitten) is adorable! So much fun doing this holiday tour with all of you talented ladies! Thank you Kenyatta! Yes Girl come on over Anytime!